FILM RIGHTS HAVE BEEN ACQUIRED! 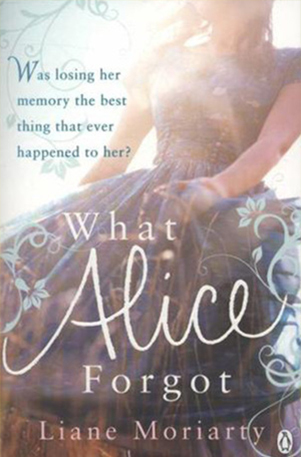 Tri-Star entertainment is set to create the film adaptation of ‘What Alice Forgot’ with Jennifer Aniston signed on in the leading role. Then I read a story about a woman in the UK who lost her memory and behaved like a teenager – she didn’t recognise her husband or children. I realized that memory loss is a form of time travel. So I came up with the idea of a woman, Alice, who loses 10 years of her memory. She thinks she is 29, pregnant with her first child and blissfully in love with her husband. She is horrified to discover she is 39, with 3 children and in the middle of a terrible divorce. It’s like the younger Alice has travelled forward in time. Readers tell me that what they liked best about this novel was how it made them think about the choices they’d made and wonder how their younger selves would feel about the lives they are leading now.